BANGKOK: The Anti-Money Laundering (Office) has stepped in to freeze the bank accounts of two tour operators whose boats capsized off Phuket last Thursday (July 5) as a fresh crackdown on the use of Thai proxy owners begins. Tourist Police deputy chief Pol Maj Gen Surachet “Big Joke” Hakpan said Monday that Amlo will examine the assets of the two companies based on initial findings they are being run by foreign interests. According to Gen Surachet, these two companies are also allegedly linked to Tranlee Travel, a company which offered a tour service in Phuket and was raided in 2016 on suspicion of being illegally owned and run on the behalf of foreigners. 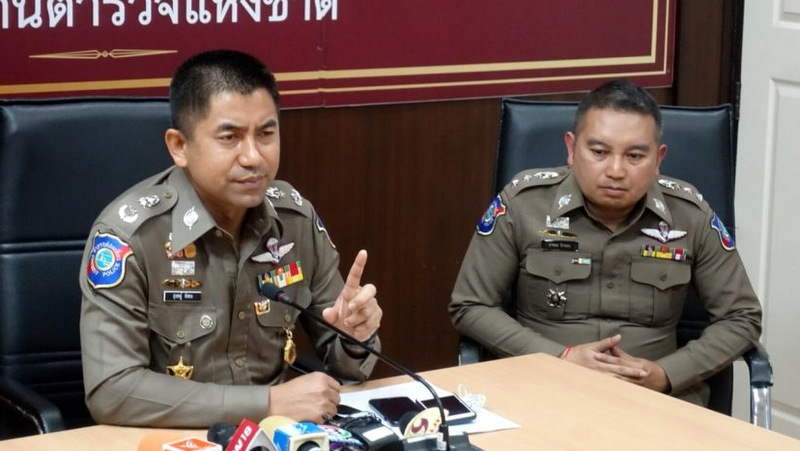 He said police will launch a crackdown against 12 foreign nominees found to operating in Phuket, Phang Nga and Krabi and will coordinate closely with Chinese tourist authorities to tighten controls over China-based tour operators. He said travel companies based in China were allegedly using their nominees in Phuket to operate the business, which had not respected safety regulations, involved in the tragic accident. The deputy tourist police chief also threatened to take legal action against any Thai officials found to be complicit with these proxies. Commerce Minister Sontirat Sontijirawong said Monday authorities are investigating the two companies involved in the boat accidents to see if they are in compliance with related business laws. Both were initially found to have properly registered with Thai authorities, he said. They were identified as Lazy Cat Travel Ltd and TC Blue Dream Ltd by the Department of Business Development. Meanwhile, Tourism and Sports Permanent Secretary Pongpanu Svetarundra said that a total of B63.96 million would be paid to boat tragedy victims. The money would be disbursed from the Tourist Assistance Fund, he said. He said B1mn would be given in case of death, B500,000 for medical treatment in case of injuries. Those who needed counselling for the trauma would get financial assistance of B20,000 per person. The search area would also be expanded to the neighbouring provinces of Krabi, Trang and Satun to locate those who remained missing with patrols on beaches and the scattered islands. Five of the missing have been located and are alive, Phuket Governor Norrapat Plodthong said, adding that authorities are verifying the details. A yacht and a jet-ski also capsized off Phuket that day, but all 43 people on those vessels were rescued. * The number of people on board the Phoenix at the time the boat sank was revised from 105 to 89 yesterday with no explanation (see story here). The number of people believed missing now varies. Many reports say 10 people are still missing. The TAT reported yesterday after the total number was revised and after PM Prayut's visit that 11 people were still missing (see TAT report here). At 5pm on Saturday (July 7), the TAT reported 15 people as still missing (see story here), causing more confusion over the five now found as announced by Phuket Governor Norraphat (as reported above) only accounting for four people now no longer considered missing. The companies were operating because the thai government allowed/licensed them. The 'tour boats' were sailing because the thai government allowed/licensed them to sail. If something ( corruption) wrong with that licensing I like to read that thai government now is with full power 'working/investigating' on her own government officials, without that inactive post nonsense. Typical response...it's the foreigners fault. I was also curious why the Captain and crew jumped into life rafts, while 40-50 Chinese men women and children were left to go down with the ship unassisted. I am betting that ultimately, this tragedy will have the same results as the tsunami disaster. Just wait til the hoopla dies out, then get back to business as usual. Has anyone else wondered how Captain and crew got off the boat safely and yet passengers did not? Is it just random because the boat went down quickly or is there something else? Curious if investigators will ask this question. This tragedy did not happen because of dastardly foreigners owning companies in Thailand, it happened because 2 captain's ignored safety warnings and went to see in a storm. Let's address the real problems please. Surely the "sweep" should be the competence of the boat captains and the Managers who make the daily decision to "go or not go"
"The deputy tourist police chief also threatened to take legal action against any Thai officials found to be complicit with these proxies" Then be not many Officials left in Phuket. TAT (Tourism Authority of Thailand), DBD (Department of Business Development), Tourist Police and many governmental administrations are not very active to crack down on those illegal investors and scammers. Hear the same waffle every time, how about focusing on prevention instead of going after the money guys after the fact, now that would be refreshing. Xenophobia strikes again - must be foreigners fault - blame the foreigners!! Unbelievable.